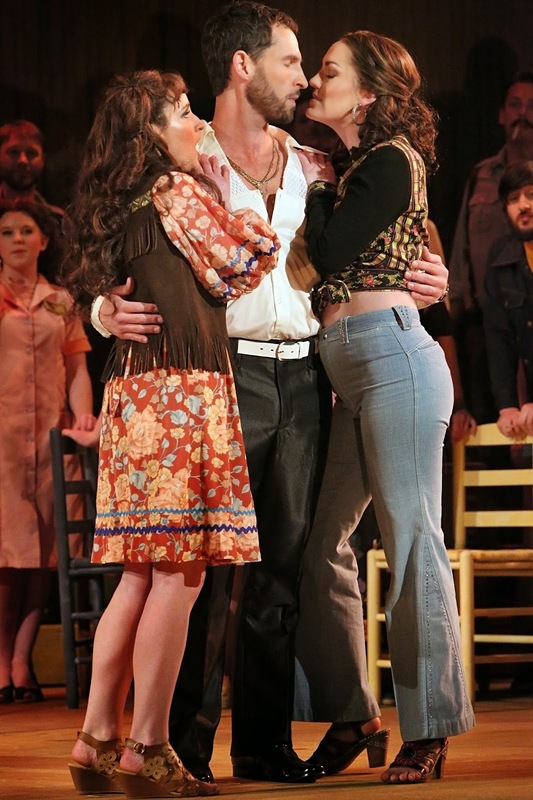 A whirlwind weekend trip to Chicago yielded an embarrassment of theatrical riches. Four shows in two days! But the reason for our trip? 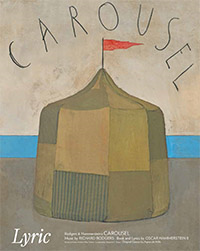 Carousel at the Lyric Opera of Chicago. And it was everything we'd hoped it would be. Ever since hearing the first casting news, we wanted to see this show. 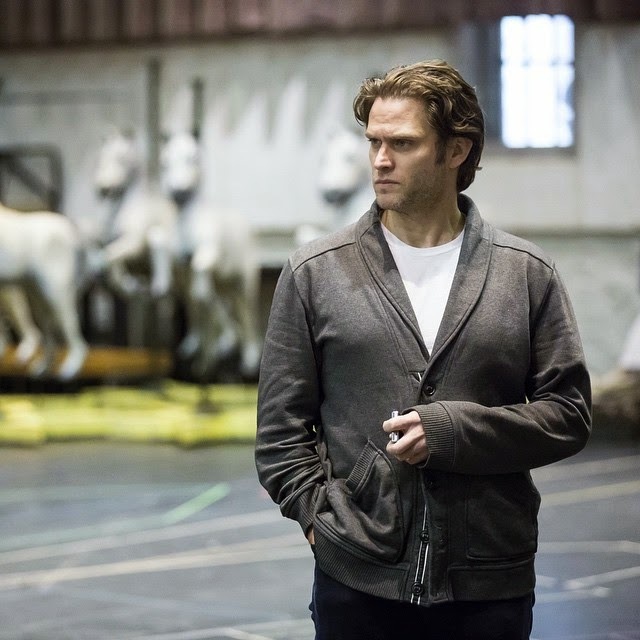 Having seen Steven Pasquale in A Man of No Importance back in 2002, and hearing him sing The Bridges of Madison County, he seemed perfect casting for Billy Bigelow. And our hometown girl, Laura Osnes, seemed ideal as Julie Jordan. And the more actors were announced, the better it sounded. Opera star Denyce Graves as Cousin Nettie, Jenn Gambatese as Carrie Pipperidge, Charlotte D'Amboise as Mrs. Mullin, Tony Roberts as The Starkeeper, Jarrod Emick as Jigger Craigin. Amazing! The Civic Opera House, where the Chicago Lyric Opera performs, is a huge house, seating over 3,500. We found a deal and splurged a bit on front-row seats, but a friend of ours sitting further back on the main floor enjoyed her seat just as much. Fittingly, this is a big production. The chorus is huge, filled with talented singers and dancers. 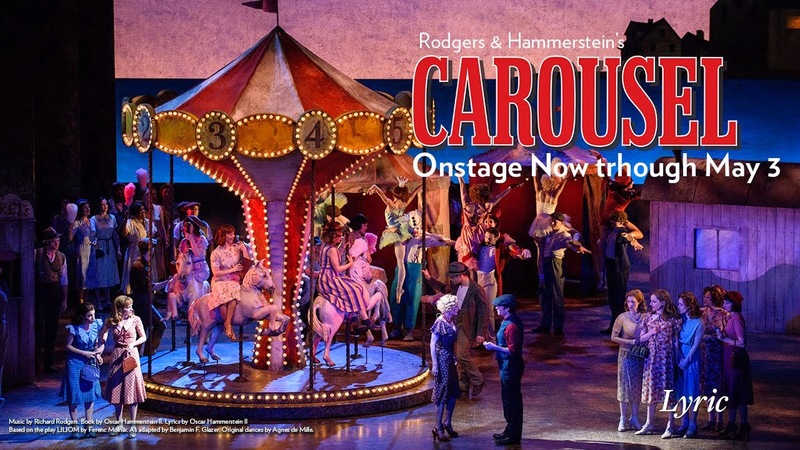 The play has been re-set from the early part of the century to the Depression-era 1930s, which works well, especially since Mullin's Carousel has been expanded to a traveling fair. The set, designed by Paulo Ventura, fills the vast space, and allows director and choreographer Rob Marshall to create some gorgeous stage pictures. 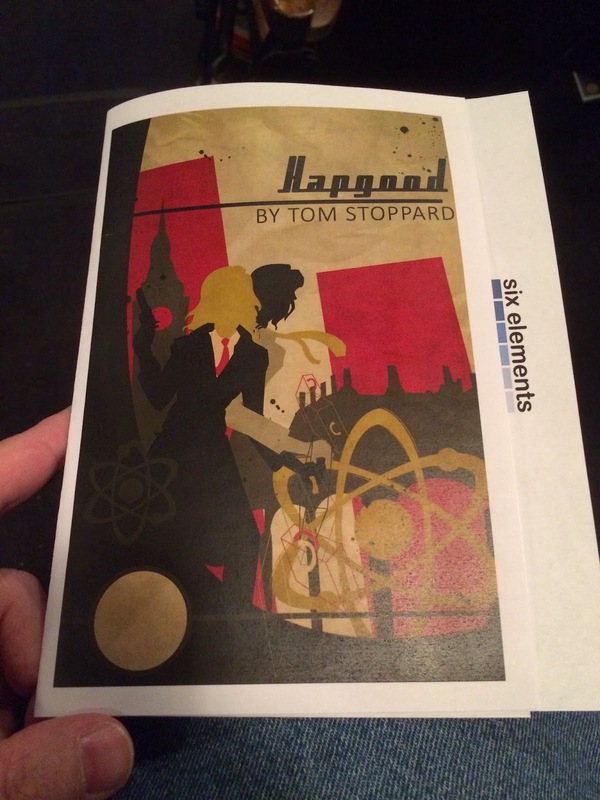 It's been a long time since I've seen a professional production of the show, and I loved the way the show started. After The Carousel Waltz started playing, the lights came up behind the scrim to show us Billy and then Mrs. Mullins emerging from her trailer en deshabille. Soon, the traveling show is setting up around them, with clowns, a stilt walker, dancing girls, and the carousel. This allows us to see Billy in his element, charming the girls who line up to see him at the carousel, and we see his interaction with Julie before we even hear a word. It was very effective! This is one of the most beautiful musical theater scores ever written, and it's certainly done justice by the 37-piece(!) orchestra as well as the singers. Pasquale is a properly tortured Billy, and he really made me understand how conflicted he is within himself and why Julie stands by him. 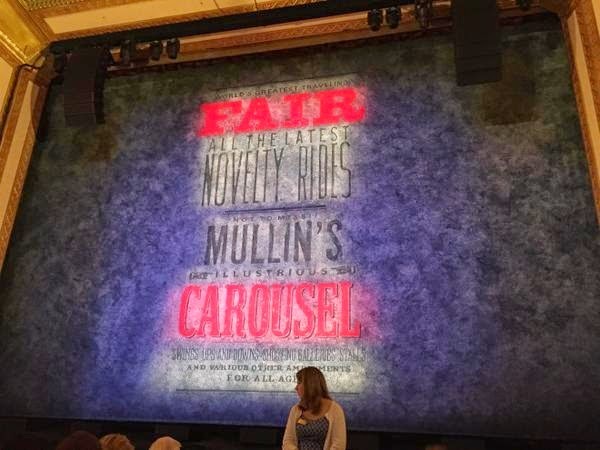 And Laura Osnes shows not only the incredible sweetness of the Julie we first meet at the carousel, but the steely determination beneath that, which allows her to take the chance to be with Billy and to keep believing in him. 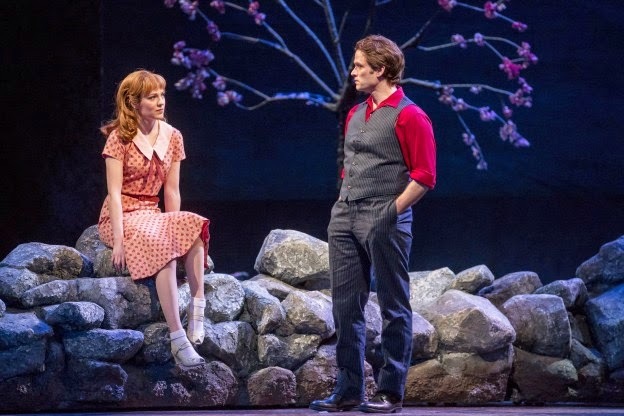 Laura Osnes as Julie and Steven Pasquale as Billy. Jenn Gambatese was a sweet and funny Carrie, and far less silly than others I've seen in the role, which easily tips over into caricature. Matthew Hydzik was a wonderful Mr. Snow, with all of his high-mindedness and ambition but also a weakness for Carrie that lasts into their married life. Denyce Graves was a bit formal as Cousin Nettie, as many opera singers are when they tackle musical theater, but then she would sing. Her big numbers, "June is Bustin' Out All Over" and "You'll Never Walk Alone" sounded amazing in her wonderful opera voice. Jarrod Emick is a bit of a puzzle as Jigger Craigin. I found his giant bushy beard and cuffed jeans quite distracting. He resembled an old prospector who wandered into coastal Maine. But he was convincing at luring Billy away from the straight and narrow, and an effective roadblock for Carrie and Mr. Snow, and that's what he needs to be. Tony Roberts was fine as the Starkeeper, but there's not much to the role. (I never really saw the point of the song "The Highest Judge of All" before this production.) Charlotte D'Amboise was a slinky, desperate Mrs. Mullins, and got to show off her dancing. The ballet was performed beautifully by Abigail Simon, with able assistance from Martin Harvey as a carnival worker who looked a little too familiar to Billy. And of course, the last thing to mention is the "Soliloquy." 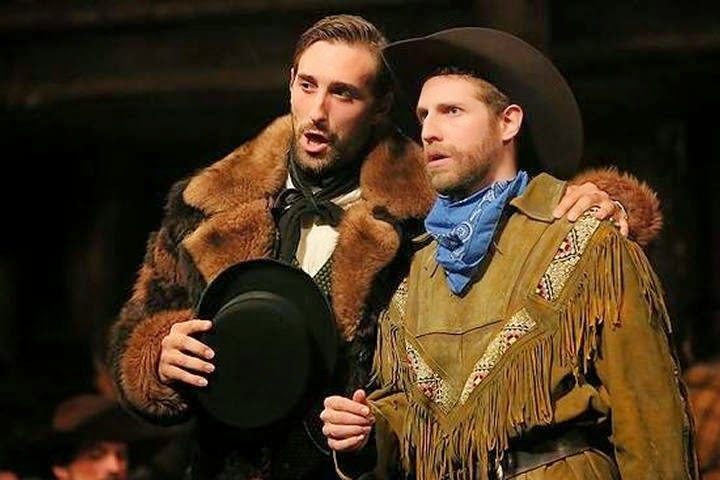 It's the Mount Everest of musical theater leading man songs, and Pasquale scales it beautifully. There's an odd choice to have an enormous set piece move onto the stage while he's singing, which does set up for a nice final picture at the end of the first act, but in spite of that, the song was riveting. 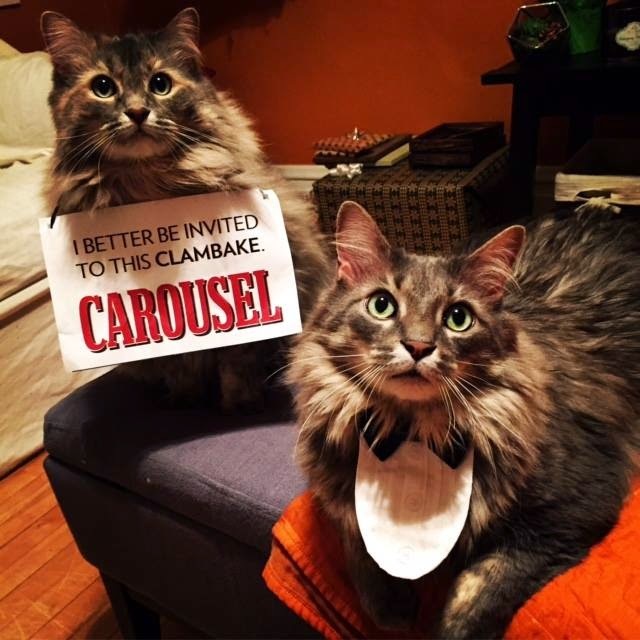 This is a Carousel to remember. I know that I will. But PLEASE Lyric Opera, find a way to record it! I know it couldn't come to Broadway in its current form with this huge cast and 37 musicians, so I hope they are able to give us some lasting memory of it. 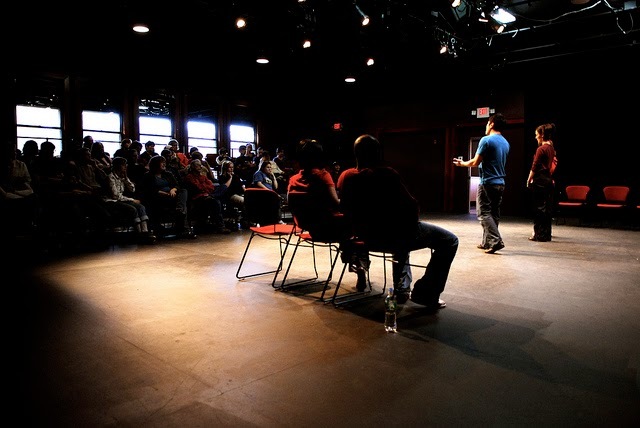 One of the best things about theater is the opportunity to continue the discussion past the curtain call, whether through social media, sharing experiences and thoughts with other theatergoers, or via the more formal post-show discussion. I LOVE a good post-show discussion. I love that it gives the audience members an opportunity to share the effect that the show had on them, and the questions they may have about the work and how it was created and performed. I always appreciate the investment in time that the company is willing to give to discussions like these--it shows a lovely generosity of spirit and willingness to actively engage. A few theaters stand out for me for their consistently engaging, thoughtful post-show discussions: Pillsbury House Theater (such as their recent Death Tax discussions that focused on various aspects of the health care system), Penumbra Theatre (always engaging and thoughtful), Theater Latte Da (especially in the Next: New Musicals in the Making series and even the Guthrie Theater (where else could you chat with Mark Rylance and Tony Kushner?). Having said that, I'd like to present my dream list of what I, as an audience member, love to see in a post-show discussion. 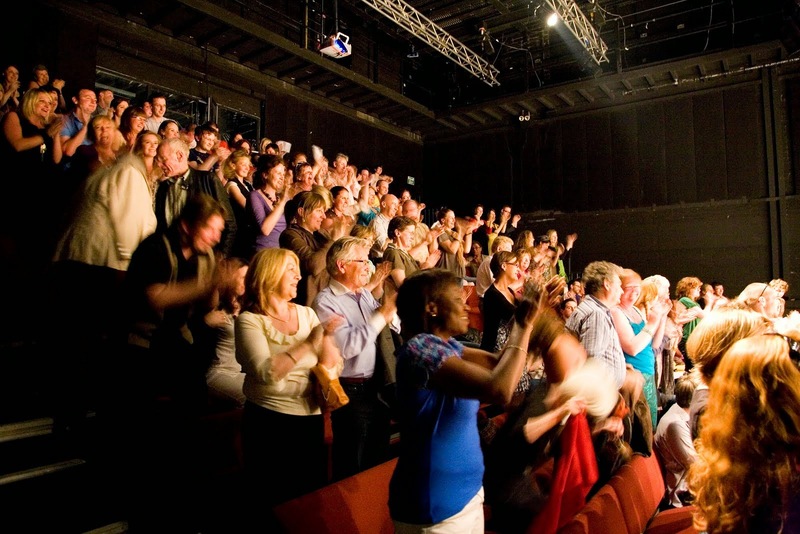 Give audience members who aren't interested in participating time to exit the theater, but not too much time. Wait too long to get the discussion started and you may lose engaged audience members who are tired of waiting. 2) Who Are You Again? Introduce everyone who is participating in the discussion (on the theater side). Facilitators, company members, creative team, everybody. Please give us your full names and your role in the company or discussion. You may think we all know you, or don't care who you are, but we do. Knowing who is speaking lends much needed context to the discussion. 3) Why Are We Here? What is the intent behind your post-show discussion? Are you looking for compliments and comments? Do you want something deeper to help you mold and shape your production? Do you want to give audience members an opportunity to process what they saw and provide insight? How about providing insight into your process? Let us know the purpose of the post-show discussion, so we can do our part effectively. We want to be useful! Occasionally, post-show discussions start with the facilitator simply asking for comments about the play. It can be hard for audience members to throw out their opinions immediately without having some sense of where the discussion is leading. Also, sometimes it takes us a bit of time to process what we're feeling and thinking and feel comfortable sharing. I love a discussion that starts with a little background from the company about the show and the creative process. It seems to spark effective discussion. It's true that theater audiences are aging. If you have a microphone, use it. If you don't, repeat questions or statements that audience members say so everyone can hear it. You can do it! You've got those lovely classically-trained voices. (That said, I personally hate in any setting when someone in the last row complains they can't hear. Move up, man!) It's nice to encourage people to come to the front rows for the discussion--even shy and retiring theatergoers. It doesn't hurt to make sure that your facilitator is prepared to lead the discussion totally on their own. Sometimes an audience just isn't responsive, or aren't prepared to discuss what we just saw. But they're interested! That's why they are staying for the discussion. Also, if you've gotten the entire cast to stay for the discussion, make sure they are involved as well. Often, it's just director and writer talking about the process. We love to hear from the actors as well. I understand there's a school of discussion that involves just listening to comments without responding in any way. I find this baffling and frustrating. Responding and building off comments and questions is the work of excellent facilitators and helps the discussion feel like more of a two-way street. Even if a question or comment is out of left field or unproductive (see number 8), it's nice to make sure the member knows that their comment was heard (see numbers 5 and 10). You've invited the audience for a discussion and you are directly inviting their comments. Try not to be too sensitive. You may not hear what you want to hear and you may get unexpected criticism but try to accept the comments with grace and an open heart. So once more ... on behalf of your audience members, thank you to all the theaters who invest time, energy, passion and thought in these post-show discussions. 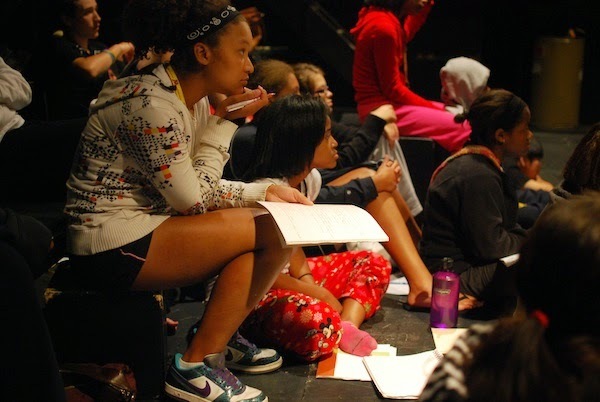 Thank you for including us and giving us the opportunity to make theater a two-way street. They had me at the title: I love my gay male friends and appreciate the unique qualities of our relationships. I don't know how I missed the previous iterations, but I was not going to let the newest version of Fruit Fly pass me by! The show is the brainchild of Sheena Janson and Max Wojtanowicz, I've appreciated each of them on stage separately, including Sheena's touching Desiree in the Mu Performing Arts production of A Little Night Music and Max in the Nautilus Music-Theater production of Ordinary Days. In addition to being talented in their own rights, the pair have been friends for a lifetime, and they built this show around the framework of their friendship. 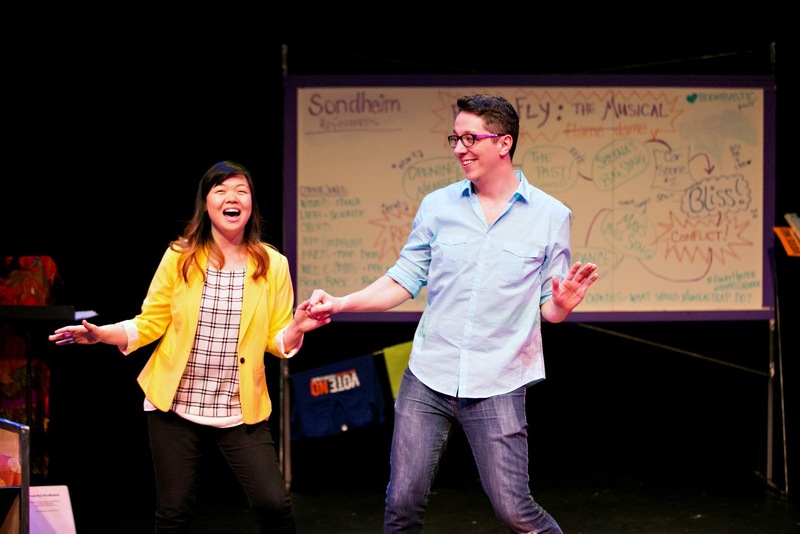 The simple set on the Illusion Theater stage includes a large whiteboard, on which is written the progression of the show, a guide to the jokes and references in the show, and a space in the upper left corner marked "Sondheim References." With that, they already had me charmed. 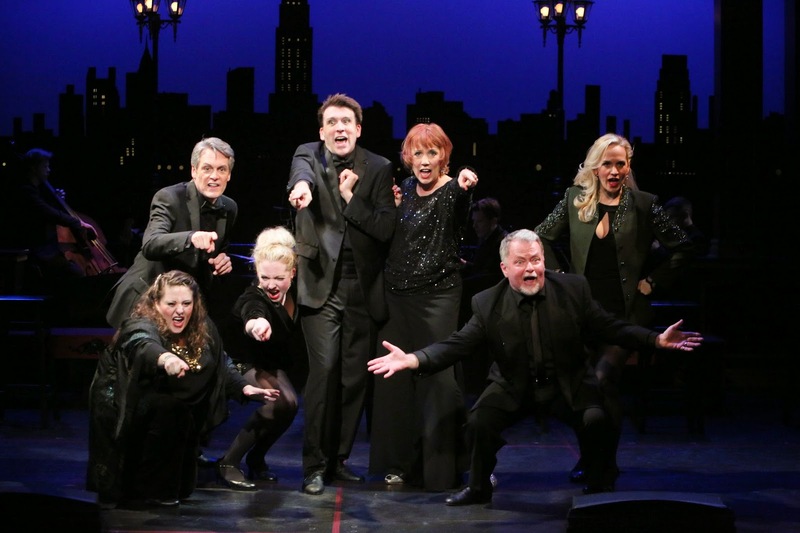 Most musical theater has its fair share of Sondheim references, so I loved to see them addressing it so directly! Overall, it was a delightful 90 minutes (no intermission--get your box wine before the show) of laughter, a few tears and a lot more laughter. I think anyone will see their own long-term friendships reflected onstage, as the joys and strains are universal, while still being wonderfully unique to Sheena and Max. 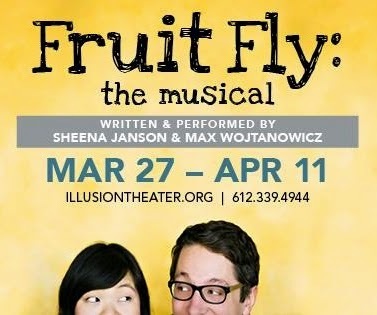 For more info, there are some cute introductory videos posted to the Fruit Fly event page on Facebook, where you can also get info about two special performances featuring a boxed wine tasting on Friday, April 3 and a fruity drink tasting on Friday, April 11.